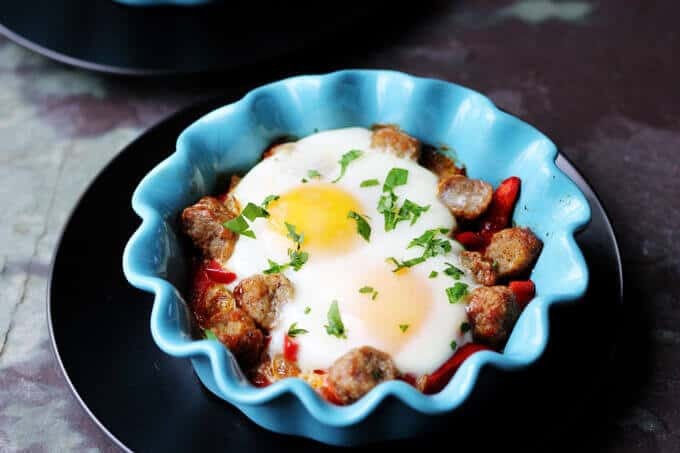 These Oven Baked Eggs with Sausage, Peppers & Onions are super easy to make yet absolutely delicious. They’re also elegant and perfect for special occasions, like Mother’s Day. 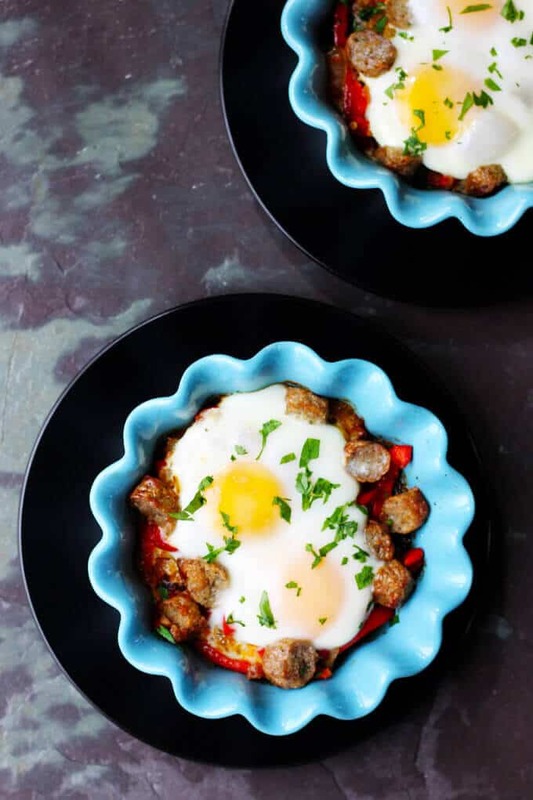 Oven baked eggs with sausage, peppers and onions are as good as they sound. 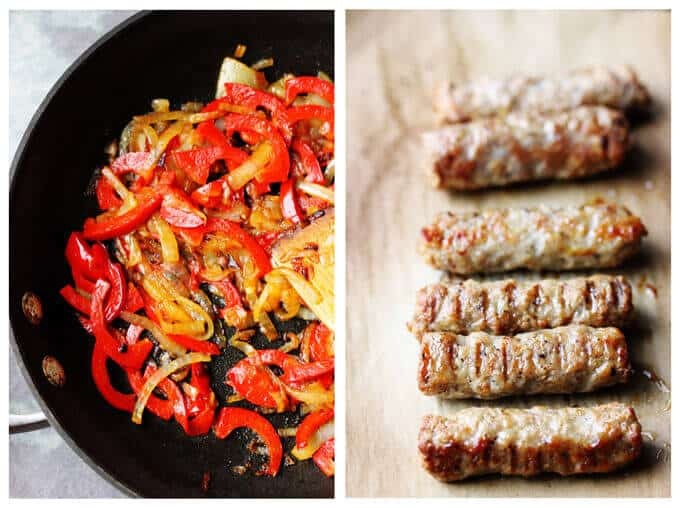 Peppers and onions are a classic pairing; and when topped with sausage, they bring a familiar Italian taste. 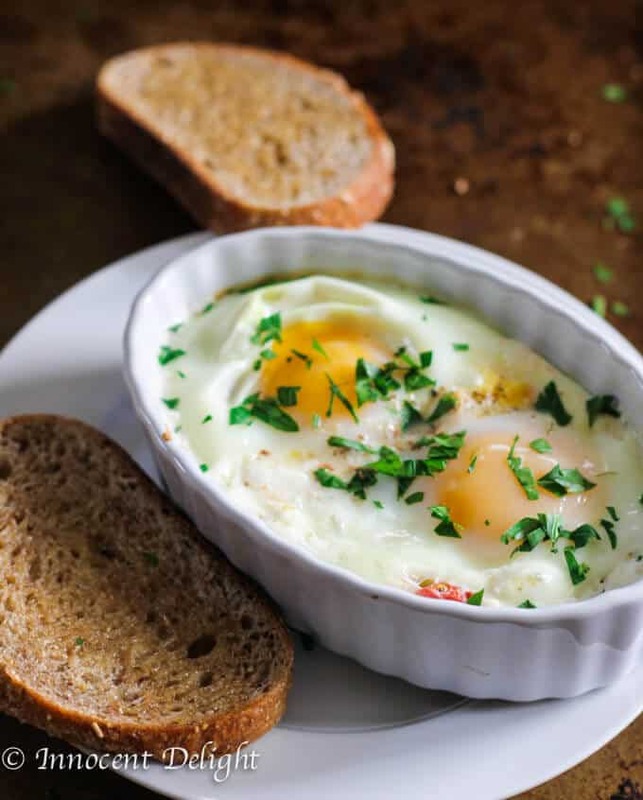 When you crack the eggs on top of this base and bake them to perfection (“perfection” = when egg whites are set and egg yolks are running) you have a winner! 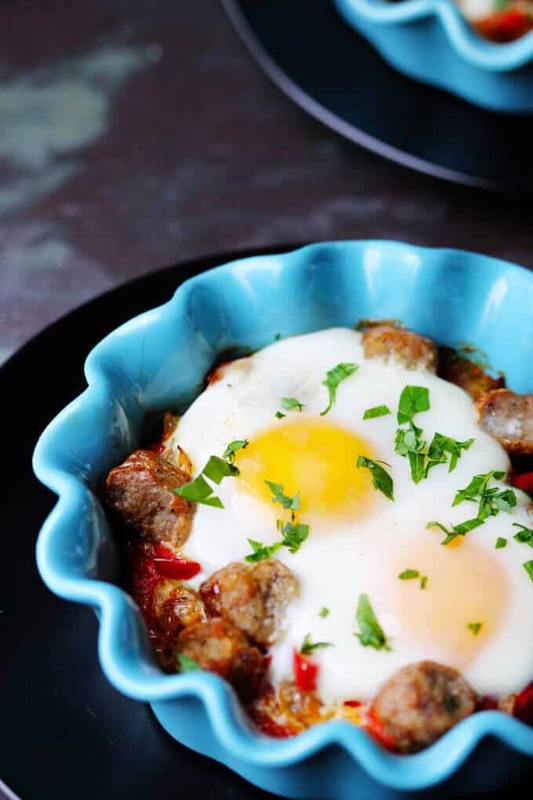 This breakfast is so easy to make, yet it really is elegant and capable of “wowing” your guests. 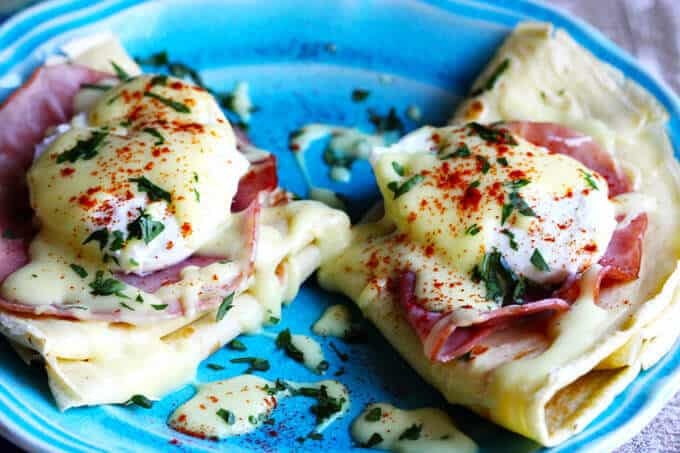 It can work beautifully for Mother’s Day brunch, or for any other occasion worthy of a little extra breakfast punch. If you’re an out-of-the-box chef, you can also serve it as a dinner. Why not? 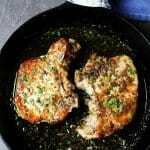 It has proteins and veggies and will surely satisfy. 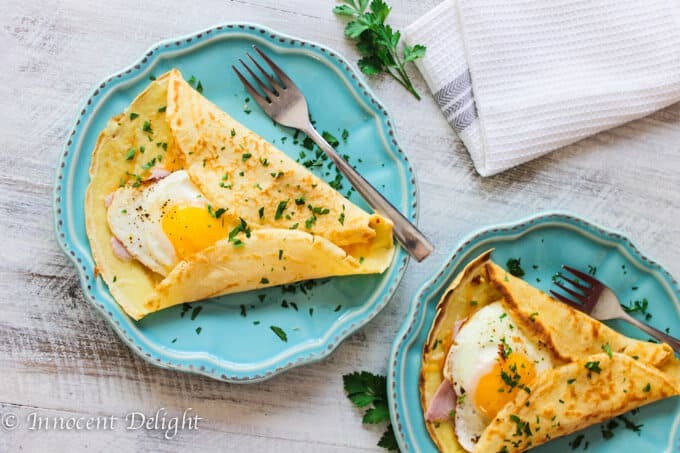 Bake for 15-20 minutes, until egg whites are set, but egg yolks are still runny. 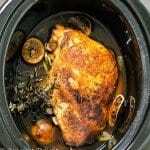 Scroll down for full, printable recipe below. 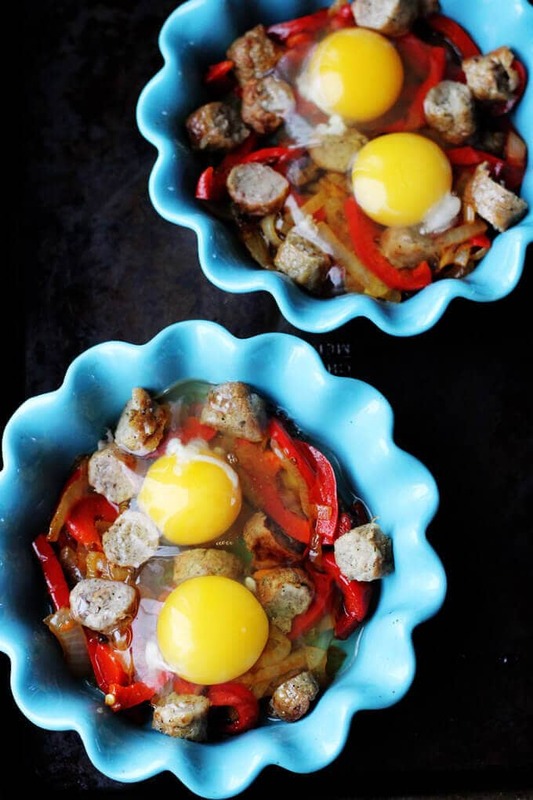 Oven Baked Eggs with Sausage, Peppers & Onions is super easy to make yet absolutely delicious. It's also elegant and perfect for special occasions like Mother's Day. Serve immediately. You may sprinkle them with some chopped parsley and serve with crusty bread. 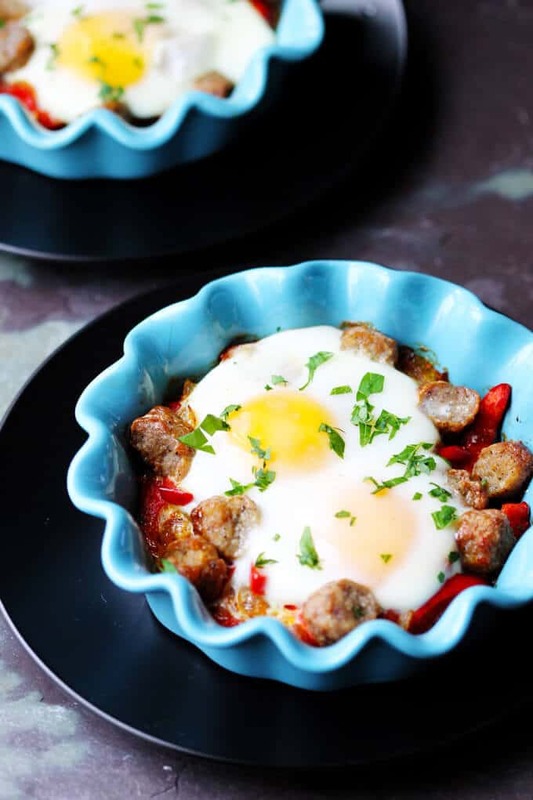 Cooking time varies depending on the size of the ramekins, so after 15 minutes watch them carefully to take out at the right time when egg whites are just set and egg yolks are still runny. 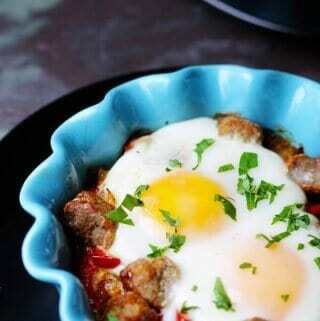 I love making little egg cups like this. 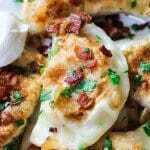 They are so simple and they are a great way to use up leftovers too. They really are great for using leftovers. Thanks Dannii! I’m completely wowed! 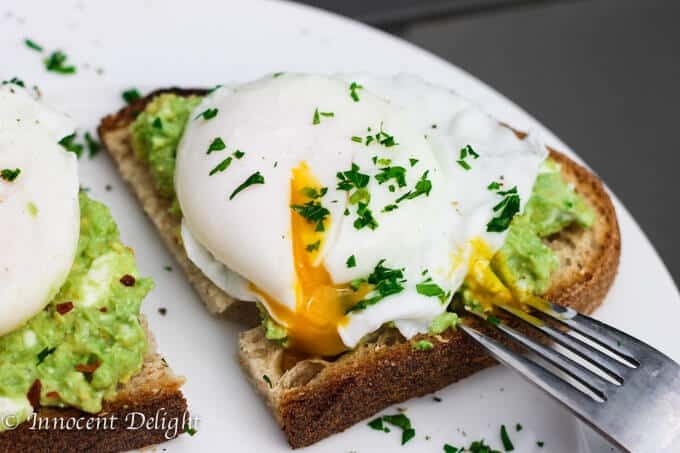 Such an elegant, yet delicious breakfast, yum! 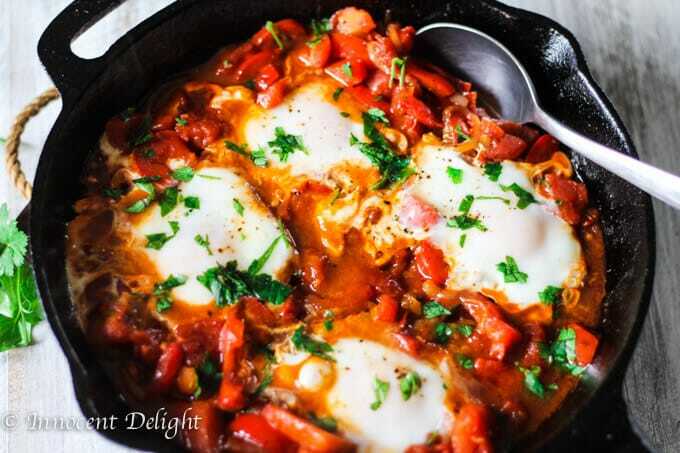 Maybe you could have it for brunch or even dinner? 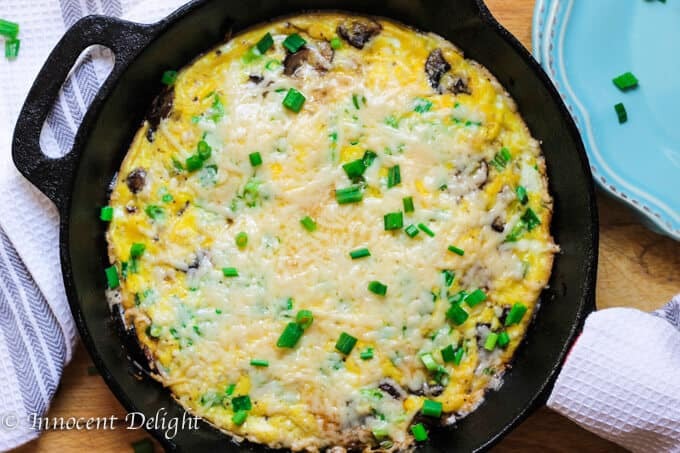 Doing an egg-baked dish such as this is my go-to when we have guests coming over or who have invaded our house and won’t leave. I can throw it all into the oven and go do other things. These look dee-lish! These little egg cups look so cute.lovely pictures.